Why are Healthy Marine Organisms Important? Your donations will support graduate students who respond to disease outbreaks and frantic calls from aquarium vets. Discovery of potential pathogens is a critical step in disease management, yet difficult to fund since it's very reactionary and often not hypothesis-driven. Fieldwork to find and collect samples is crucial. Funds will cover lab costs, supplies, and next-generation sequencing, to enable virus identification and follow-up studies to determine the relation of viral candidates to outbreaks. New diseases in marine animals are emerging at an increasing rate, yet methodological limitations currently hinder the characterization of viral infections. As global climate change intensifies, we are seeing severe disease outbreaks on an unprecedented scale. Dr. Mya Breitbart is using novel techniques she has designed, along with existing methods, to attack the critical first step of identifying potential pathogens responsible for causing diseases in a number of marine animals such as sea turtles, sea lions, dolphins and starfish. Dr. Breitbart's excellence in research has been recognized by a number of journals and magazines. The scientific community has directly confirmed the quality, impact, and novelty of her research by citing Dr. Breitbart's publications extensively, earning her an H-index of 34, which is an outstanding accomplishment for a researcher of her young age. Maintaining healthy oceans, including a diversity of marine animals, has enormous global implications for the well-being and health of society since human health and the oceans are inextricably linked. Discovering the evolutionary history and ecological niches of several newly discovered viral groups has implications for public health research, medicine, marine science, environmental conservation, veterinary medicine, and agriculture. Dr. Mya Breitbart, Associate Professor in the College of Marine Science at the University of South Florida is identifying new disease-causing viruses in marine animals by studying chronic infections, investigating the causes of mortality events in captive and wild marine mammals, and rapidly responding to explore potential causes of large scale disease outbreaks. Dr. Breitbart has also pioneered a new research strategy, called viral metagenomics, which circumvents the traditional one-at-a-time search for specific viruses by purifying and shotgun sequencing the DNA and RNA of entire viral communities. Viral sequencing occurs in the laboratory, but Dr. Breitbart also performs field studies and responds to frantic aquarium veterinarian calls, which affords her the opportunity to get out of the lab and survey some of the world's most beautiful environments. Identifying and sequencing viruses that are potential pathogens enables the development of rapid and inexpensive diagnostic tests. Further research on these pathogens determines the association of a virus with the disease in question, determines the transmission mechanism and environmental reservoirs of the virus, and develops steps to treat active infections and/or prevent further exposure and spread. Dr. Breitbart studies a variety of marine animals including sea lions, dolphins, and seals, but much of her current research focuses on studying chronic infections in sea turtles, identifying viruses associated with a massive starfish die-off, and developing new research methods to improve the efficiency of this work. Traditional methods for viral identification of a known disease involve taking individual samples and testing them one-at-a-time for specific viruses. Dr. Breitbart has pioneered the development of viral metagenomics, a new research strategy that bypasses the limitations of traditional diagnosis methods. In viral metagenomics, virus particles are purified directly from a tissue or blood sample from a diseased or deceased organism, and the nucleic acids (DNA or RNA) are extracted and shotgun sequenced. Shotgun sequencing is the process of breaking up genomes into small pieces, sequencing lots of these pieces, and then putting the genetic sequences back together into a viral genome, similar to assembling a puzzle. This method is fundamentally different from traditional methods because Dr. Breitbart's method avoids the need to have a targeted suspect; researchers can pull out the virus particles and compare their findings to all known viral sequences simultaneously, greatly expediting the search process. Sea turtle fibropapillomatosis is a disease that causes disfiguring and harmful tumors, often near the turtles' eyes, which interferes with vision and avoiding predators, around their mouths, where they limit the turtle's ability to eat, and internally, which often results in death. This disease is a large-scale problem affecting all of the seven different species of sea turtles, yet beyond knowing that a herpes virus is associated with the disease, there is still much to be learned. It is known that this disease is more prevalent in stressful environments (those with heightened pollution or human contact, for example) and it is believed that similar to human herpes viruses, compromising the turtle's immune system may promote viral replication and allow the disease to thrive. Dr. Breitbart is working to completely sequence the genome of the causative virus to understand key details about the viral-host interactions, such as the genes involved in viral expression, replication, and dormancy. Further, Breitbart's lab has demonstrated that the sea turtle herpes virus often presents as a latent infection, meaning it remains within the host over long time periods but is not always expressed. Understanding the genes associated with virus remission versus replication can therefore improve treatment strategies for rehabilitation of infected turtles. There has been a massive starfish die-off, coined the "sea star wasting disease," that is being caused by an unknown agent. As part of a large collaborative effort, Dr. Breitbart is leading the way in exploring the potential role of viral agents in this unprecedented disease outbreak. Starfish that acquire this disease develop small white lesions on their body; these are followed by arm loss and essentially melting of the organism, causing death. While there have been similar outbreaks in the past, this is by far the worst documented, reaching both the East and West coasts, and affecting a large diversity of starfish, which are keystone species in the environment. 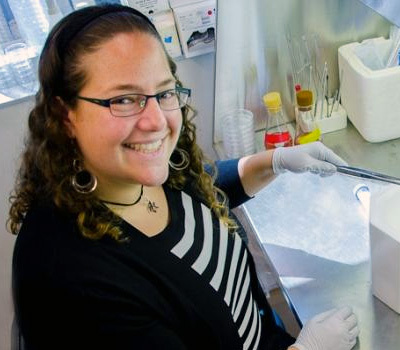 Dr. Breitbart is applying viral metagenomic techniques by taking biopsy samples from infected sea stars, purifying out the viral particles, and sequencing those viral particles to identify candidate pathogens, which are then tested for abundance and association with specific assays. Since both of Dr. Breitbart's parents are scientists, she was exposed to science starting at a very young age. As a Girl Scout, she participated in several trips and activities that introduced her to marine life and the oceans which got her excited about the variety of life in these beautiful and diverse ecosystems. During one of her many Girl Scout trips, Dr. Breitbart had the opportunity to volunteer with a sea turtle nesting project in North Carolina. She became enamored by the marine ecosystem, but it wasn't until college when she focused her interests on microbiology and molecular biology. Through several summer internships she was able to gain an understanding of the important role of microbes (viruses and bacteria) in the oceans and of their critical roles in the health of both marine animals and the large percentage of the human population that is linked to the oceans. For most people, snorkeling on a coral reef or visiting an aquarium conjures up thoughts of beauty and natural perfection. While it is true that these marine ecosystems are gorgeous, when Dr. Breitbart views the oceans, rather than observing their natural beauty she has found that she is most drawn to those things which look "wrong." Over the past several years, she has studied disease in marine animals (including sea turtles, sea lions, seals, starfish, shrimp, dolphins, corals) with the goal of diagnosing the pathogens which are causing disease. Before we can take action to protect marine species against current and future disease outbreaks, we need to know what the causative agents are, and determine the best methods for eliminating or protecting against them. Dr. Breitbart is particularly passionate about this project because she believes that protecting the health of our ocean ecosystems is one of the most important challenges we face in the modern age. By applying cutting edge molecular biology techniques, we now have the ability to determine potential pathogens involved in disease and develop strategies to ensure the health of sea creatures. While she was growing up, Dr. Breitbart was fortunate to have parents that exposed her to various scientific concepts. This was further stimulated by a slew of excellent teachers and mentors. Pursuing her scientific interests was always supported, rather than discouraged, as it is for many children, especially young girls. As a result, Dr. Breitbart is extremely dedicated to scientific outreach to the community and fully embraces the importance of integrating broader impacts into her research. Being a young, female scientist, she constantly strives to encourage girls to pursue and remain in STEM fields. She has run marine science and technology workshops for over 300 Girl Scouts, and recently created a fully-functional laboratory at the local Girl Scout camp. Dr. Breitbart strives to give back as much as possible to the communities that helped her reach the milestones she has today; she is a Leadership Team Member of the Florida Girls Collaborative Project, participates annually in the Saint Petersburg Science Festival, USF Oceanography Camp for Girls, and serves on the Florida Aquarium's Conservation and Research Advisory Committee. She was also heavily involved in creating the Tampa Bay ARCS (Achievement Rewards for College Scientists) Chapter, which helps the local public access research and financially support graduate students. Dr. Breitbart believes that education and outreach are one of the most important parts of her job, and also one of her favorites! 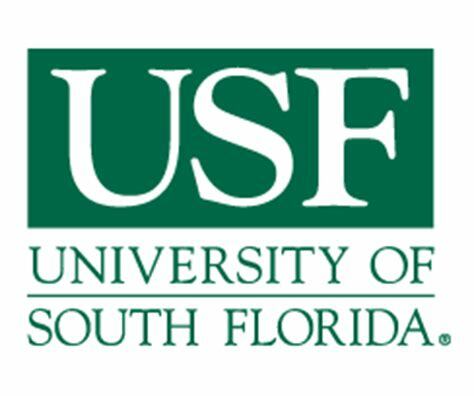 USF Marine Science Professor Mya Breitbart Named to Popular Science "Brilliant 10"
USF researcher named "Brilliant Ten"